Within one year after graduating from college, Lizzie Widhelm had held three jobs. 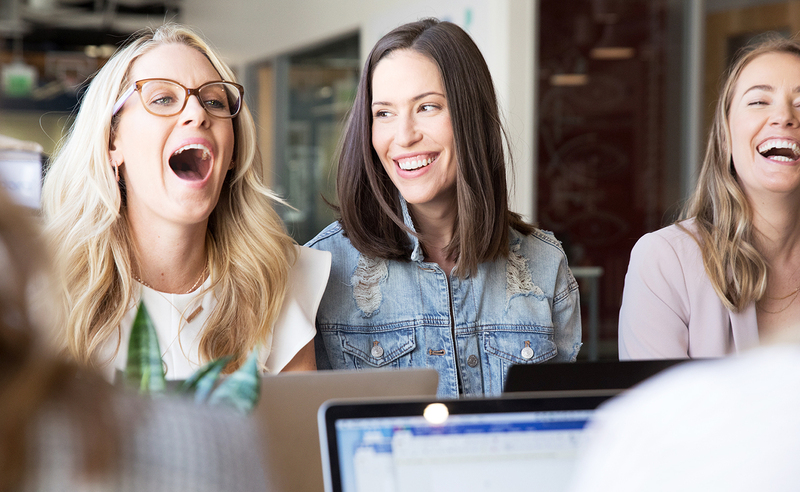 It started when she took a job on a whim in the nascent digital space as a sales planner. Four months later, she was poached by NBC. Four months later, she was poached again by a tech startup. In the space of less than a year, and by the time she was 23, she’d not only held three jobs, she was making six figures. This anecdote is a near perfect encapsulation of Lizzie Widhelm who now, a decade or so later, is the SVP of Ad Innovation at Pandora and the charismatic leader of an almost entirely female team. Are you getting the sense of who this woman is? If you’re thinking she’s kind of a badass, you’re right. But if you’re picturing the classic Business Lady—dark suits, high heels, perfect blowout, heavy, dictatorial hand—you’re off track. Widhelm is a petite blonde (with, yes, a perfect beachy blowout) who comes to work in floaty skirts and graphic tees, or chic shift dresses and colorful heels. And she’s not a dictator; Widhelm’s demeanor is firmly located dead center between no nonsense and nonsense. In the fitting before our photoshoot, for example, Widhelm vacillated between doling out outfit judgment like a sassy older sister and discussing spray tans, to confirming meetings and zoning completely in on her phone for emails. She likes to have fun, and she likes to make money, and the lines are blurred—and she has no problem with that. 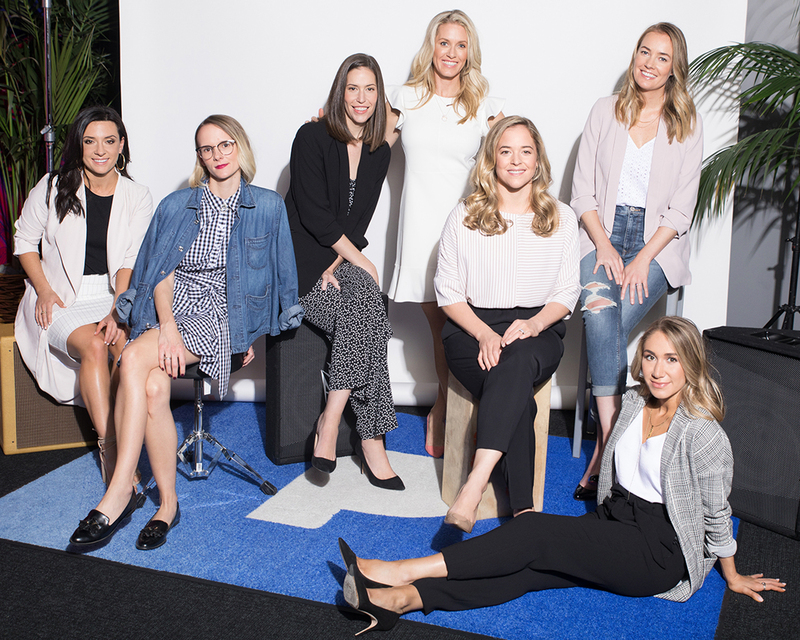 GROUP DYNAMIC: Widhelm’s Santa Monica team from left to right: Jenna Grandolfo, Molly Mitchell, Laura McElhinney, Lizzie Widhelm, Claire Fanning, Megan McCoy, Mariana Estephanian. 2. Know. Your. Worth. Then ask for it. Even though she didn’t necessarily come here to make friends, Widhelm is all about working in positive environment. “Be friendly, and make friends. Understand where people are coming from. Be inclusive—it goes a long way in terms of your reputation. People want to work with people they like. People want to refer people they like. People want to promote people they like.